Please call 907-244-6313 if you have any questions! Custom treatments are available. Swedish Massage is the most familiar type of massage in which your therapist will use their hands, forearms and elbows to make long massage strokes that follow the direction of the blood flow to your heart. Swedish massage is known to stimulate blood circulation while relieving muscle tension, increasing your range of motion and providing relaxation. It is also known to hasten muscle recovery by removing and carrying metabolic waste and toxins away from the tissues and to the organs that can expel them from the body (like your kidneys and lungs). Drinking a lot of fluids and taking Epsom salt baths after your massage is recommended to help in this process. Deep Tissue Massage is especially effective in treating chronic muscle tension. This is done with a focus on the deeper layers of muscle tissue in your body. Your therapist will use slower strokes and more direct pressure across the grain of the muscle. Deep tissue massage is known to release chronic tension and break up or eliminate scar tissue. Because it is focused on very specific areas, you may experience soreness during or after the massage. Your massage therapist can talk to you about what to expect and how to manage your soreness if it does occur. Therapeutic massage is similar to deep tissue massage, in that it is used to address long-term or chronic issues. It can be more intense than a relaxation massage and requires your massage therapist to apply a balance of gentleness and strength as they work through various areas on your body. Therapeutic massage is known to help relax, rejuvenate, rehabilitate and re- energize those who receive it. We have a reputation for providing a therapeutic massage that effectively combines strength, knowledge and experience with acute sensitivity to minimize your pain and stiffness, while helping resolve your chronic pain. Sound Therapy employs Ohm tuning forks and other healing sound tools to work areas of the body that include acu-points, trigger and reflex points, bone, muscle and tendons. 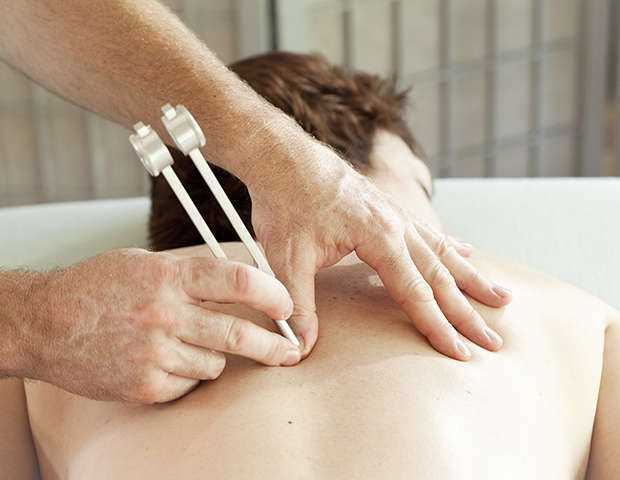 Our technique involves identifying a sensitive area and using the tuning forks, in combination with massage, in that area until resolution is achieved. Sound therapy is known to move stagnant energy, relieve pain and tonify Qi. In this practice, Ohm is an earth tone, credited with the ability to help ground, soothe and balance your energy. The vibrational frequency of Ohm is rooted in the elliptical orbit of the earth as it travels around the sun throughout the seasons of the year. Acupressure is an ancient art in which practitioners use their fingers to gradually press key healing points on the body’s meridians. Acupressure relies on the power and sensitivity of the hand to stimulate the body’s natural healing ability. Acupressure therapy is known to provide relief from stress-related ailments, including headaches and other body aches. If you experience clear symptoms brought on by stress, consider asking us about acupressure. 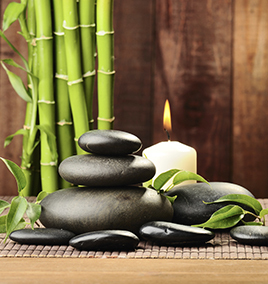 Hot stone massage is an ancient art that uses heated stones to help promote healing. We’ve honed our own method of hot stone massage, in which we use heated river stones with warm natural oils and sculpting massage strokes, along the body. Hot stone massage relaxes muscles and allows for more intense manipulation of the body, which results in a deeper sense of tension release. You will feel it melt away and experience sensations of comfort and warmth. On-site Chair Massage is an ideal option for providing therapeutic breaks in the workday for employees and co-workers or even during events, for attendees. Our licensed and insured therapists will come to your location and provide professional massage therapy in our portable massage chairs. Your employees are the backbone of your business! Give them a reward that pays—with a healthier, happier workplace. At All About You Bodyworks, we are committed to providing the best possible care to you. We stay current with new therapies and techniques and integrate what is truly beneficial into your personalized care. You can also trust us for the safest care available. If you have questions regarding specific therapies or techniques not seen on this site, please call 907-244-6313. We are always happy to answer any questions you may have and discuss the latest trends in massage therapy. We have a unique relationship with the doctors we work with allowing us to bill most insurance companies. While the actual billing is done by doctor’s office, we do all our own scheduling. We are located in our own office in Midtown Anchorage for your convenience. Many offices schedule massages every hour, on the hour; leaving you with a 45-minute massage. At All About You Bodyworks, we schedule according to your needs and you get your full hour, or more, depending on what your body tells us. That being said, if we can fill your appointment, your cancellation is forgiven, so please give as much notice as possible. First time: you will receive a warning. Second time: You will be charged half the amount of your allotted appointment time. Third time: You will be charged the full amount of your allotted appointment time. *Cancellation fees must be paid prior to your next scheduled appointment. **If you need to cancel your appointment, consider whether a friend, colleague or relative might like to take it. We appreciate the referrals and then you don’t have to worry about the fees! If you forget or consciously choose to forego an appointment without calling to cancel, you will be considered a “no-show.” You will be charged the full amount of the time allotted for your appointment and payment will be required before future appointments can be scheduled. Your session may be condensed so that other scheduled appointments can still begin on time. Your therapist may decide to reschedule, if they determine there isn’t enough time for effective treatment. You will be responsible for the full session. Good communication goes a long way: If you discover that you are going to be late, please give us a call, if possible. If you have any questions regarding these policies, feel free to ask! 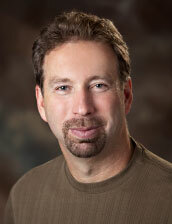 Cliff Ambro is an artist in the healing practice of massage and the owner of All About You Bodyworks. With intuitive skills that uniquely combine a variety of approaches, Cliff is known for his ability to help (and spoil) his clients. To him, you are family. ©All About You Bodyworks all rights reserved. 2511 Fairbanks St. Suite A. Anchorage, AK 99503. Open M-F 9a-6p.